Amazon (.com, the flagship U.S. store) is a popular destination for India's online shoppers. The American behemoth has the best product selection in the world, stocking and selling virtually every imaginable product from every brand and store you have —and haven't— heard of. But shipping to India from Amazon USA is complicated. Does Amazon ship to India / Can you buy from Amazon in India? The short answer is: No - very few Amazon.com products ship to India. About two thirds of Amazon stores (third-party sellers) that make up the bulk of merchants on Amazon don't ship internationally at all. So don't feel left out - every other country bar the U.S. is having trouble ordering US Amazon products and shipping internationally. Why won't Amazon.com ship to India? The main reason is Customs. As you may have already experienced, getting products shipped through Customs in India can take time, and money. If a friend or relative has sent you a package from abroad, it was likely held up, inspected, and subjected to import duty, which you then had to pay to have the package released and delivered to you. It's such a poor customer experience that many US stores and brands prefer to avoid it altogether. The second reason is added complexity. Some products (electronic, for example), require local customizations to function in India or comply with its regulations. Beyond the product itself, there's the added complexity of offering an international warranty, dealing with returns, and localisation of marketing, packaging materials, and after-sale support. No signup, no virtual address, no hassles. 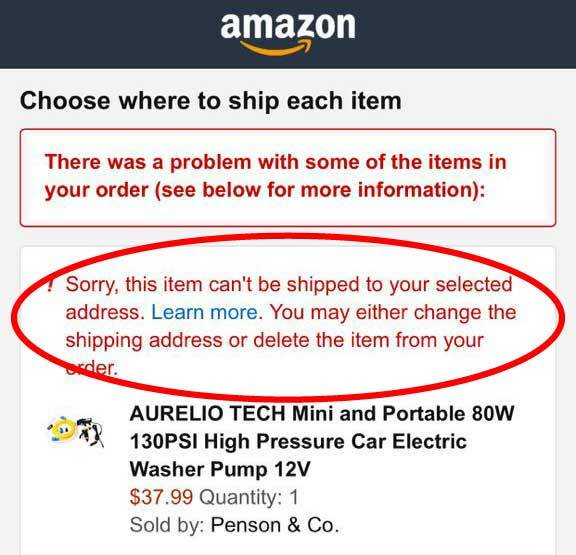 Amazon.com accepts many payment methods but your card may be refused because of a India billing address, or your card is not enabled or is prohibited from use in the USA. If this is a problem for you, please use Flycrates! We accept virtually all non-US cards. For security and peace of mind, card payments are processed by Stripe. Visit our homepage for timing for orders to India. Flycrates offers simple flat-rate shipping. Questions? View the Flycrates FAQ, or email us anytime at team@flycrates.com.